Sunday - Moving everything from the front of the apartment to the back to prep from new carpet being installed in a couple days. 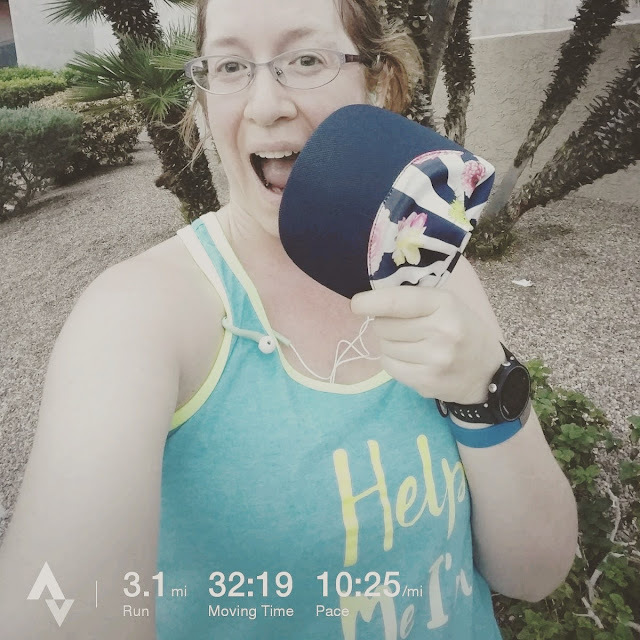 I tried to get back to a normal routine Tuesday morning with a run before work. It. Was. Windy! So much, in fact, that my visor blew right off my head! Sometimes it's just the littlest things! 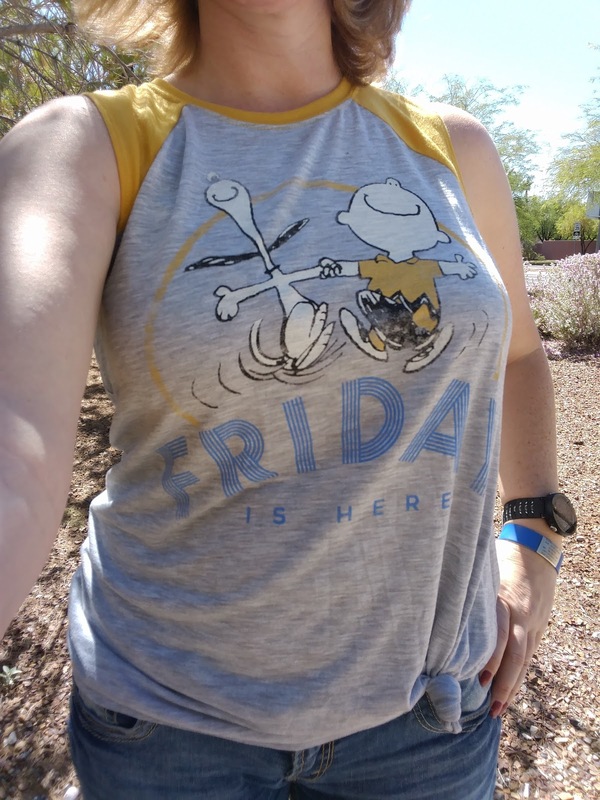 I found a super cute shirt at Walmart and waited all week to wear it on Friday. Isn't it fun?! I had the opportunity to try out the Impossible Burger! It's a plant-based burger that boasts to cook, look, and taste like the real thing. The idea of a plant-based burger is very intriguing to me for environmental reasons. It takes a lot of land and resources to raise cattle, and I'm not always sure that's the best use of those resources. Finding ways to reduce our reliance on cattle sounds good to me! Did it live up to the hype? Yeah, I think so! 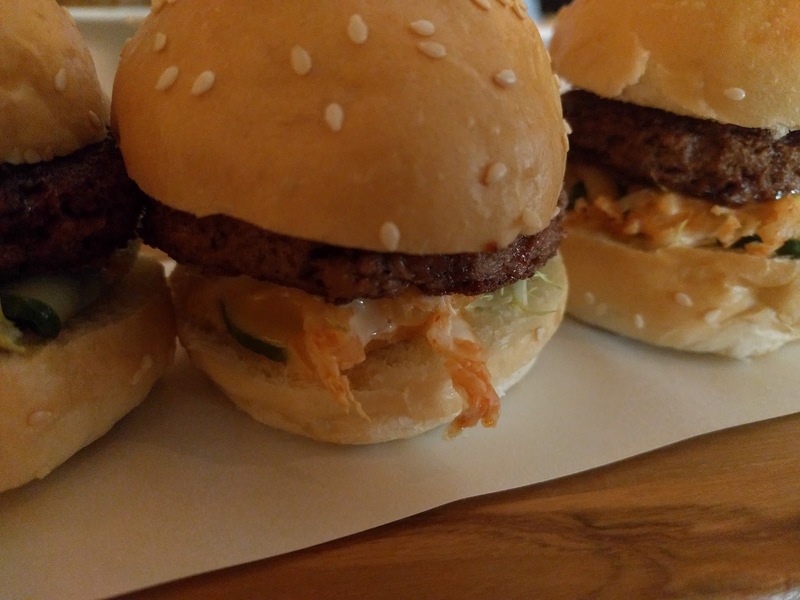 We ordered Impossible Burger sliders along with Wagyu Beef sliders. Comparing the look and feel of the two burgers, you really couldn't tell the difference. They didn't taste the same, but that's more because they were prepared and seasoned quite differently. We went to Andrea's at the Encore. It's a very nice restaurant. The decor, service, food, and drinks were all spectacular! What's a little thing that really meant a lot to you this past week? I'm linking up today with guest host Madhuri as well Tricia & Holly for the Weekly Wrap. Have fantastic week, everyone! Very cute shirt :) Snoopy always makes me smile. New carpet is a lot of work, but nice. New carpet will be nice, but I just wish it would be magically done without us having to move furniture here, there, and everywhere. 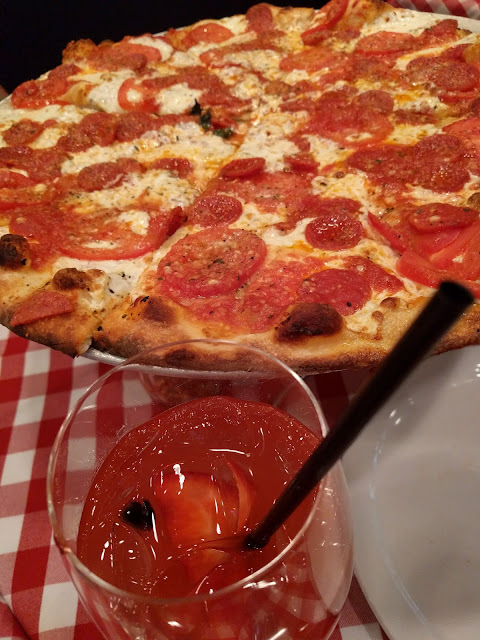 Grimaldi's is always a good choice for pizza. :) And there are 2 locations on the Strip. 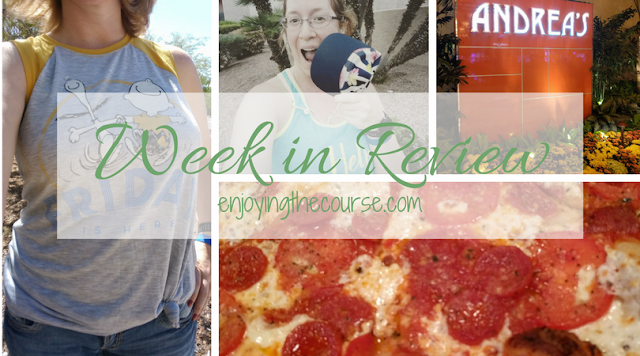 I've been staying away from beef for a while, but especially since I was diagnosed with RA last year. I have tried some veggie burgers--but I'd prefer turkey or chicken over that. What can I say? Nothing wrong with that. I like to try new things, and these plant-based burgers were really yummy! I think you deserved a week of recovery! That's a cute Friday shirt. My sister and I were very much into the Peanuts Gang when we were kids. LOL. Yay for new carpet!